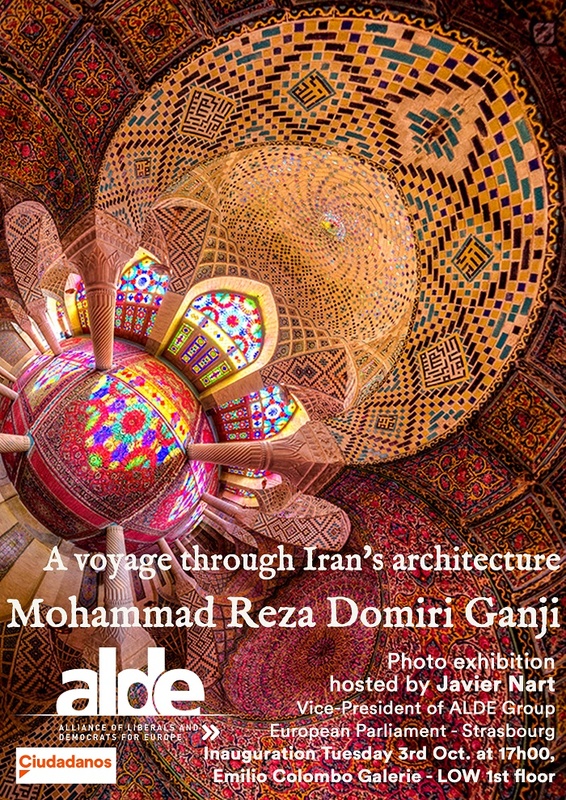 It is a pleasure to invite you to the photo exhibition I will host from 2 – 5 October entitled “A voyage through Iran’s architecture”, created by Mohammad Reza Domiri Ganji, a young Iranian-born Photographer and Physics student, interested in old Persian architecture full of detailed and unique characteristics like symmetry, tiling and stain glasses. As you can see in his short biography attached (http://gravity.ir/about-me/), his latest photography collection entitled “Historic Persian/Islamic Monuments and Temples” has been displayed and viewed worldwide. Numerous international magazines such as National Geographic or Modern Times, and television channels such as CNN, Spiegel, BBC and Business Insider have promoted his pieces of art. The opening ceremony will be held on Tuesday 3rd October at 17.00 in the Emilio Colombo Galerie – LOW 1st floor in Strasbourg. It is an honour for me to exhibit Mohammad Reza Domiri Ganji’s pieces of art in the European Parliament. I count on your presence in the exhibition and sincerely hope that you can admire the magnificent geometric art of this young Iranian photographer.